In my world, tampons are a necessity. Life virtually stops when I don't have a tampon. 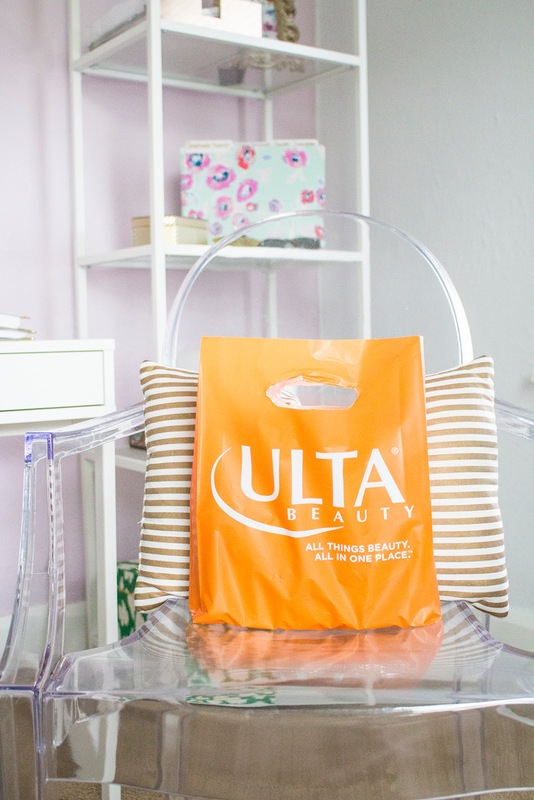 If I forget to restock my purse or gym bag or didn't pick up a box on my last trip to the drugstore - my next move is to go and buy them. I couldn't imagine not being able to have something, that is just as necessary as a shower, clean clothes and even food. 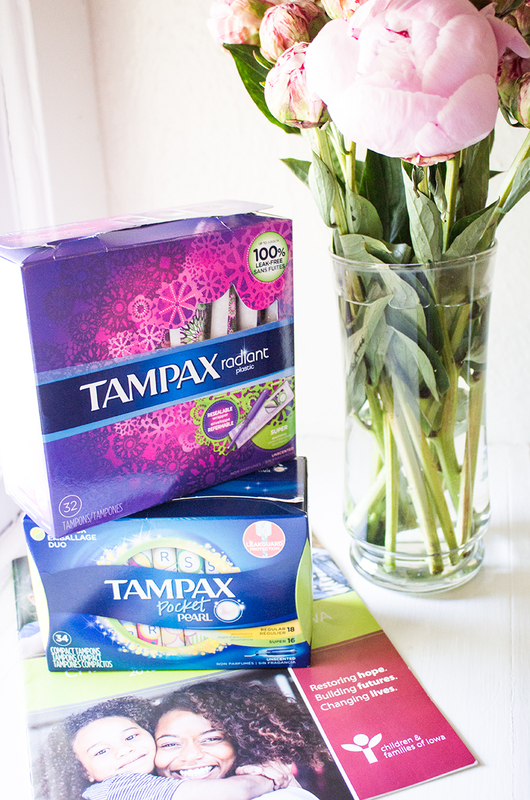 That being said, I was SO excited to partner with Tampax for their One Million Tampon Donation. Multiple charities were chosen across the nation and the donations were made on May 28th, Menstrual Hygiene Day! Here in Iowa, I was pleased to partner with Children & Families of Iowa (CFI) to donate 40,000 tampons to such an amazing organization. CFI's largest service is their domestic violence division where they provide emergency safe shelter, outreach advocacy and education, and support groups for victims and families. Here in Des Moines, CFI series over 36,000 people a year and they house about 50 people each day and the estimated length of stay is about two weeks. 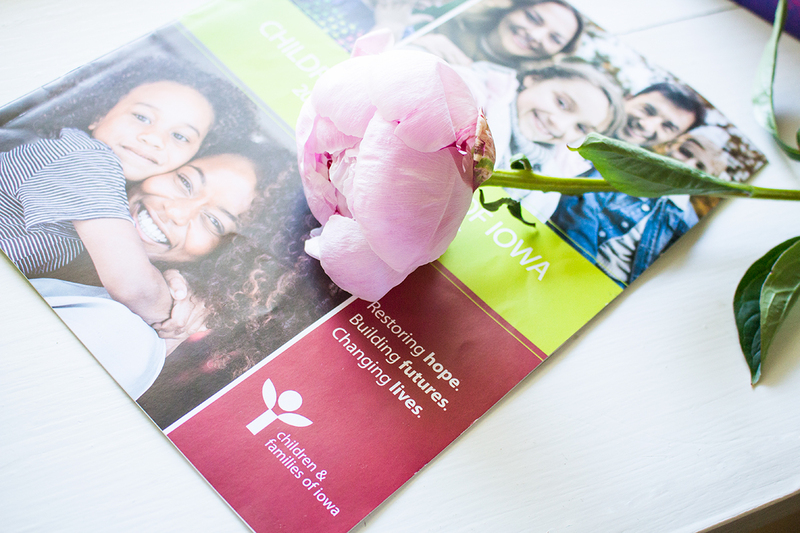 Their organization spans across the entire state of Iowa servicing domestic violence victims and their children. This donation will bring some much needed feminine care products to all of the women and girls that visit the organization. In the United States, 1 in 3 women are living in poverty. That means there are about 1 in 3 women that don't have access to feminine care products or cannot afford them. In my opinion, all women should have equitable access to these products. Just because we are women and have a natural life cycle, does not mean we shouldn't be able to go about our daily lives because our periods get in the way. That's the problem however, too many women and girls don't go to meetings, interviews, schools, social outings, sporting events, etc., because of their period. Thankfully, Tampax is empowering women and organizations to change that. The goal is to make menstrual care products accessible to everyone - and it starts with a donation. If you are wondering what you can do to help the biggest thing is to simply get involved! I know now that CFI will be stocked for a long while with tampons and my heart is bursting at the seams with happiness. Most non-profits and charitable organizations always post on their website their donation needs, this is a great place to start. If you are in the Des Moines area, there is a community of women that founded the Red Alert! Project. They have set up donation locations all over the city so you can donate feminine care products. Last year alone - they collected over 50,000 products and donated them to various non-profits across the metro area! Check out their website for updates on when they will be starting their next drive, then go buy a few extra boxes of Tampax tampons and donate, donate, donate! I want to give a huge thanks to Tampax and P&G for partnering with me (and many others) to start setting a standard that tampons should be accessible to all women - not just those that can afford it. To read more about the One Million Tampon Donation click here. Don't forget to do your part and help women #PowerOverPeriods!